In honor of Obama’s re-inauguration, we set out to create a Barack-inspired dish that highlighted his ties to both Chicago and our lovely DC. 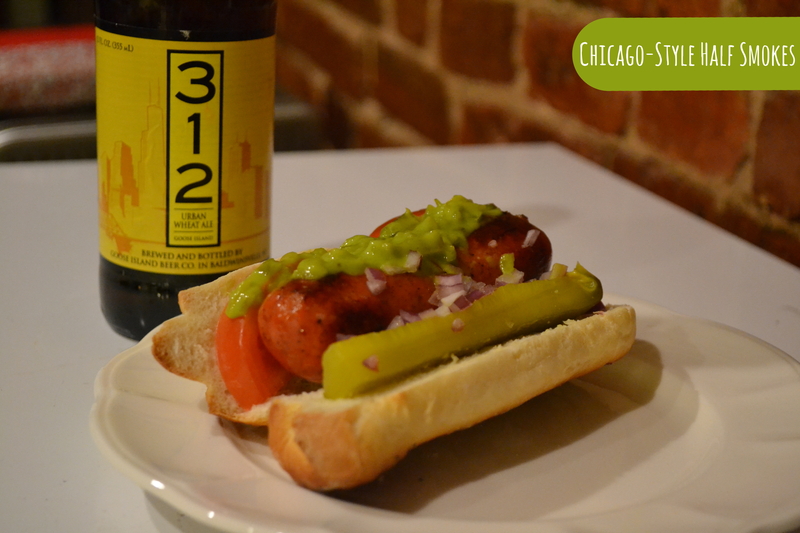 This Chicago-Style Half Smoke combines the prez’s roots in Chi-City with his new home in DC. 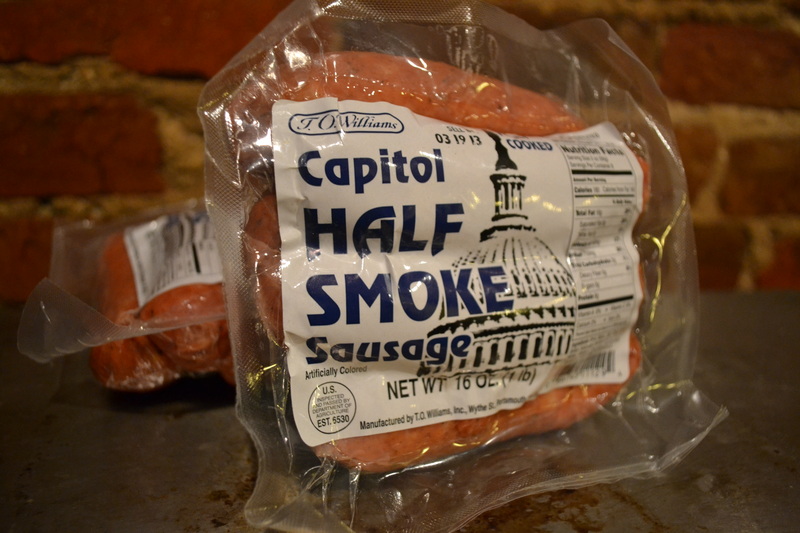 The half smoke is an interesting sausage, popularized by DC’s Ben’s Chili Bowl and named aptly because it is usually half pork, half beef. We found a half smoke that was produced in the DMV, and the nutrition facts are kindly out of focus, just like my mind treats all sausage. So what happens when you load a DC-native half smoke onto a poppy seed bun and heap on Chicagoan toppings? A culinary mixture fit for the President himself! Once your poppy seed buns are out of the oven, this recipe is really all about assembly. Heat the half smokes on a grill or on the stovetop, just until they have a bit of color and are heated through. Then pile your Chi-Town toppings- tomatoes, relish, yellow mustard, a dill pickle spear, and chopped onion. Since we couldn’t decide between a 312 and a DC Brau, we treated ourselves to both!